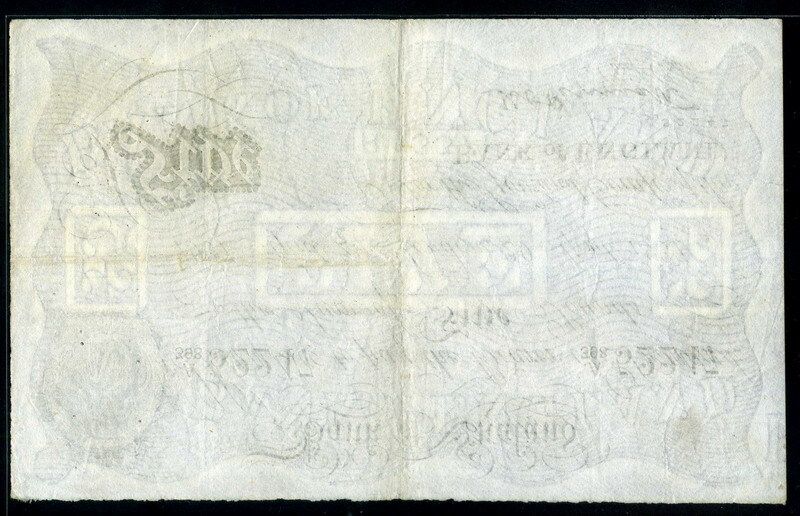 British White Five Pounds Note Britannia, Bank of England - White Fiver of 1937, Signed by K. O. Peppiatt. 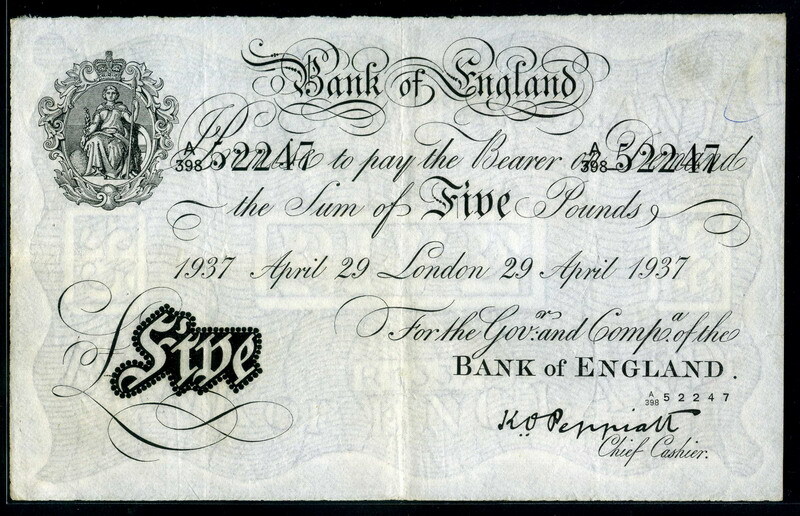 Bank of England: I Promise to pay the Bearer on Demand the Sum of Five Pounds London 29 April 1937. Signature: Kenneth Peppiatt, Chief Cashier of the Bank of England, 1934–1949. The words "I Promise to pay the Bearer on Demand the Sum of Five Pounds" date from long ago when British notes represented deposits of gold. At that time, a member of the public could exchange one of our banknotes for gold to the same value.